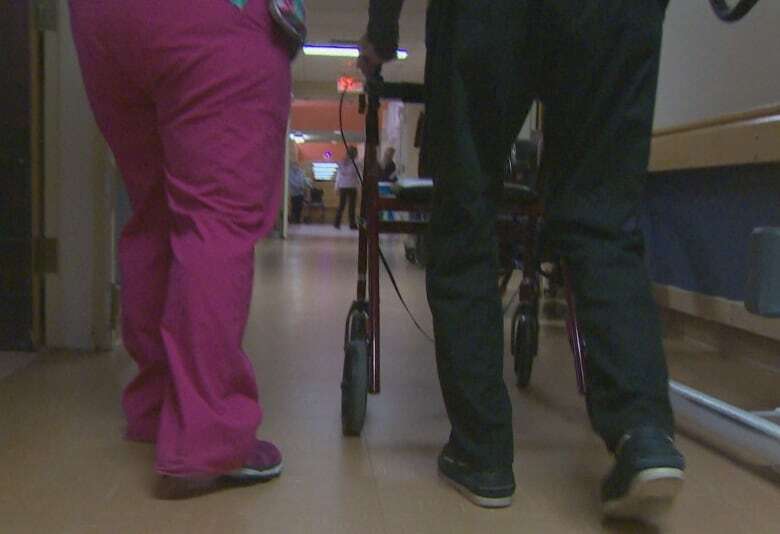 The New Brunswick Council of Nursing Home Unions is expecting a high strike mandate when members vote next Thursday. Workers at 45 non-profit nursing homes in the province are represented by the Canadian Union of Public Employees. The 45 locals are collectively represented by the New Brunswick Council of Nursing Home Unions. Patrick Roy, CUPE co-ordinator for the council, said a strike is a weapon workers have but don't want to use to get the wage increases they are asking for. "These residents are like family to them, so for them to take this decision, it shows you how frustrated they are," Roy said. About 4,100 unionized workers, including licensed practical nurses, resident attendants, dietary and laundry workers and some clerical workers, can take part in the strike vote. Negotiations have been going on since their collective agreement expired in 2016, although the two sides recently reached an impasse. Current wage rates for nursing home workers range between $18 to $24 an hour, depending on the position, Roy said. 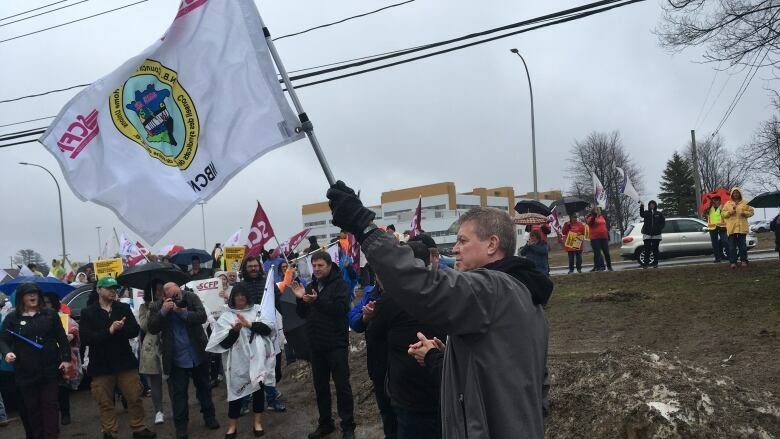 A tentative agreement, which included a one per cent pay increase, on par with increases in the hospital sector, was rejected by CUPE members in July 2018. Nursing home workers and hospital workers already make close to the same wages, with nursing home workers earning a few cents less because of the time contracts are renegotiated and increases take effect, Roy said. Roy said negotiations with the New Brunswick Association of Nursing Homes have been difficult because the association has to get approval for funding decisions from the provincial government. "The people that actually provide the money are not at the table," he said. The last time nursing home workers received a pay increase equal to inflation was more than eight years ago, Roy said. "We understand the province is going through some tough economic times as well, but we can't keep taking it out on the workers." The New Brunswick Association of Nursing Homes has said the 2018 offer remains on the table. Roy said the workers are asking for wages that reflect cost-of-living increases, plus a little extra, which the union thinks would also help attract and retain workers to chronically short-staffed homes. Current provincial inflation is about two per cent as of the beginning of the year, he said. He said the level of care has gone up in nursing homes, which means workers are working harder and looking for compensation. Nursing home residents are supposed to get at least 2.9 hours of direct care every day, and current staffing levels at many homes across the province don't meet that. Roy said he recognizes that those who will suffer most from the strike will be the residents, which puts the workers in a difficult situation. Families with loved ones in homes should push the provincial government to grant nursing homes more funding. Could New Brunswick adopt P.E.I. program that keeps 'frail seniors' at home longer? If the workers do vote to strike, Roy said the earliest day it would start would be March 9, as the union needs to provide the employer a 24-hour notice. Even then, he said, a strike would not necessarily start at the first opportunity. "At the end of the day, we're not looking for a strike, we're trying to get somebody's attention here to get to the table." The Department of Social Development released a statement earlier that did not address the dispute except to say the government is optimistic an agreement will be reached. The Office of the Opposition released a statement Friday urging the government of Blaine Higgs to return to the negotiating table immediately to avoid a strike for the safety of seniors and the harm a strike would have on workers, families and the economy.